Team GIBS welcomes Alison Simcha to the family! She’s a New York City girl in an Albuquerque world. Life sent Alison Simcha to New Mexico a few years ago; another twist of fate brought the talented lady barber and a dachshund named Delilah to Team GIBS. She runs her own shop. Cuts hair at hospice centers. Collects beauty supplies for shelters and works with domestic violence and human trafficking victims. Girl’s got heart. Let’s meet Alison. Describe yourself in five words: Loyal, dedicated, intelligent, proactive and appreciative. Success. Team GIBS. How did you get here? 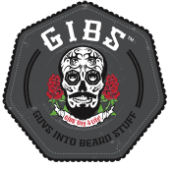 I found myself unexpectedly in New Mexico, where a fellow barber introduced me to GIBS’ beard oils. Two of my mentors, Kenny Duncan and Dave Diggs, heard me gushing about this extraordinary brand and promptly introduced me to Gib and Michael Walker (Mike Sharrpp). I’ve found a home with GIBS, and the shared passion for always expanding knowledge and the skilled team. What are you known for? Pampering my guests. Men come in expecting the same 30-minute barber experience they’ve had all their lives. I like to shatter that assumption. My haircuts includes scalp massages, straight-razor shaves includes a facials, and my beard sculpts include exfoliating steam-cleaning treatments. What's one thing we need to know about you? I am curious and have a voracious appetite for expanding my knowledge. I am passionate about sharing my knowledge, but I am equally eager to grow. Please, approach me with ideas and or tips that I can include in my own work. Favorite GIBS combo? I am Brazilian and have naturally curly hair. I cocktail Hitman Texturizing Spray and Conman Hair Pudding on my own hair. For my guests, I use our oils on their hair and beard as a moisturizer and frizz serum and on their skin as a pre-shave oil and as a conditioner. It has such versatility. Tips for aspiring barbers/stylists? Find what works for you; cutting, shaving, writing, coloring, dyeing, educating, motivational speaking, platform artistry, apprentice work, business ownership… Skills are most valuable when they come from a place of authenticity, so follow the passion that suits you best. 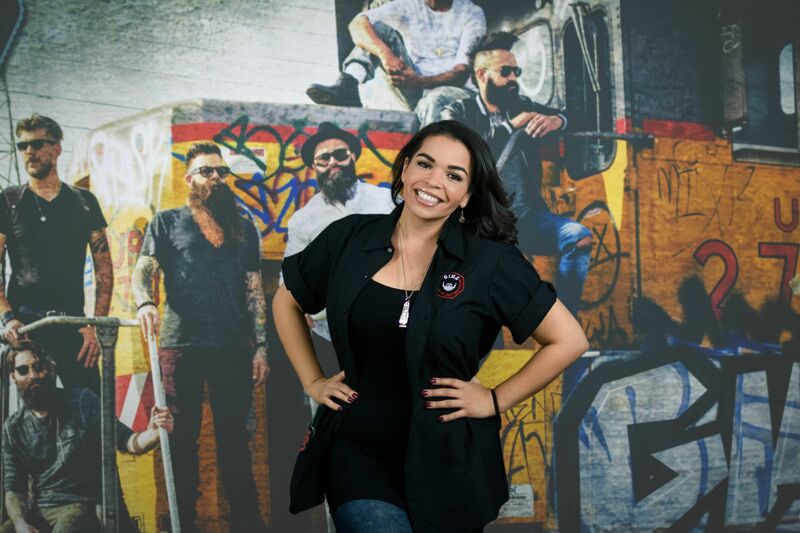 What’s it like being one of the women behind a rockstar men’s grooming brand? What a blessing to be surrounded by some of the best barbers and stylists in the industry! What makes a great barber/stylist? Redefine your definition of your job. Yes, you cut and style hair, shave, color, etc. but these are only the skills you must use to accomplish your real job: To provide a luxurious experience to every person who sits in your chair. What’s the secret to keeping a beard top notch? Regularly shampooing and conditioning your beard with GIBS Grooming Man Wash BHB and keeping it well conditioned with any of our amazing oils and balms! My favorites are ManScaper and Colorado Kid! One thing you wish men understood about good grooming? It takes effort, but it’s worth it! Good grooming tells others that you care about yourself, and it gets you positive attention. What else should we know about you? I’m an adopted, Brazilian-born Jewish woman with an Irish last name. I’m a chameleon and feel comfortable in most every situation! It is so rare to be in a career which you love and don’t “have” to be in. I take advantage of all the avenues where I can learn and network and volunteer at local events like Kutz4Kids, community theaters, local shelters and military bases. Find Alison on Instagram at @alisonthebarber.